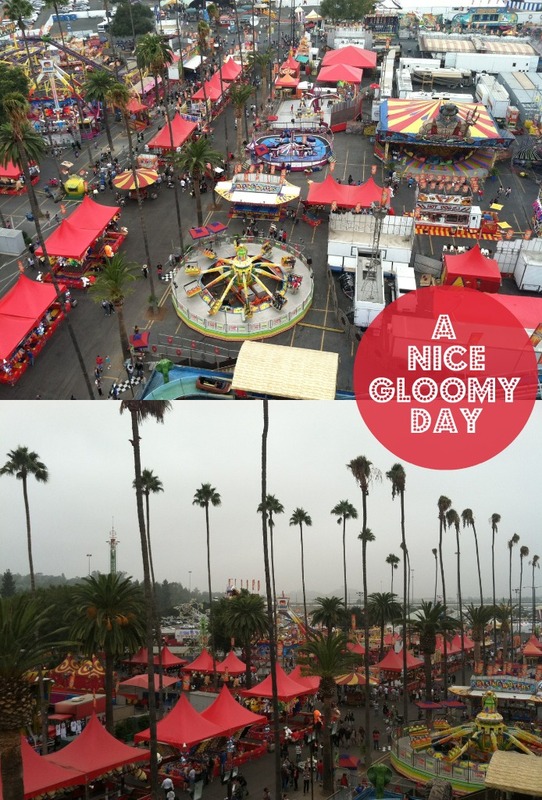 We had a wonderful day at the LA County Fair last weekend. 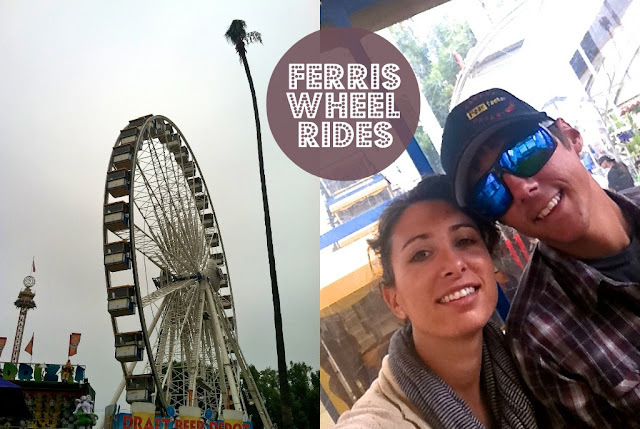 Crazy food, fun rides and games and quality time with the hubs. What more could a girl ask for? 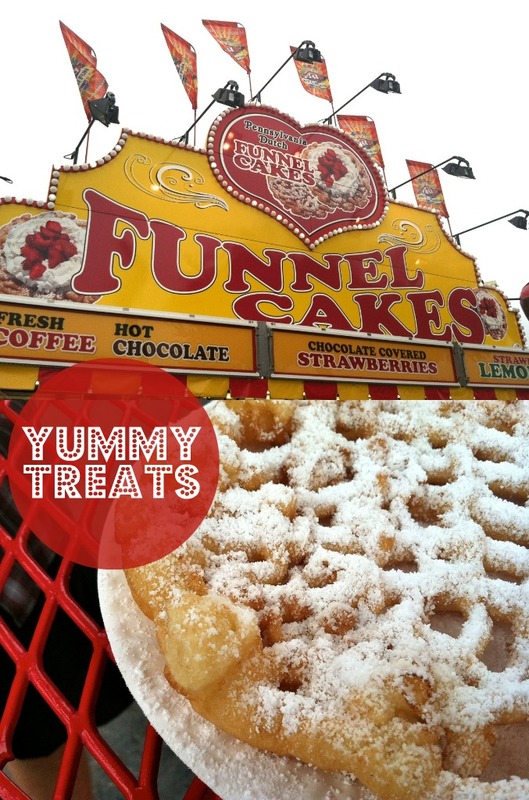 Except for maybe some more funnel cake. Dang that Klondike bar looks nom! 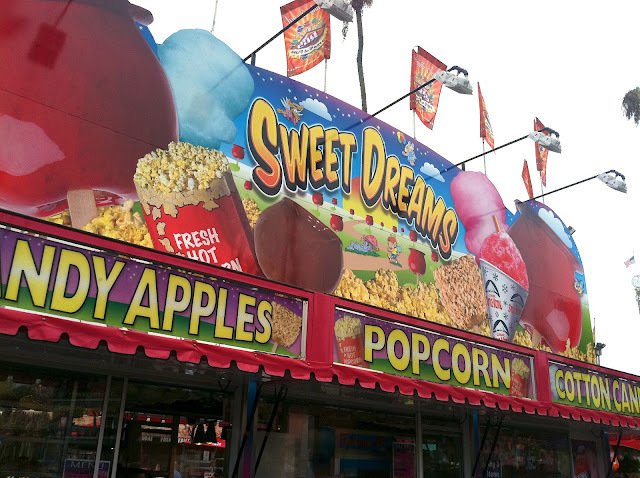 I love going to the fair every year. Same thing and at times it can be quite boring but I can't help it. I just love all the lights at night. this fair looks awesome! I love the food pictures...i think i'm drooling. 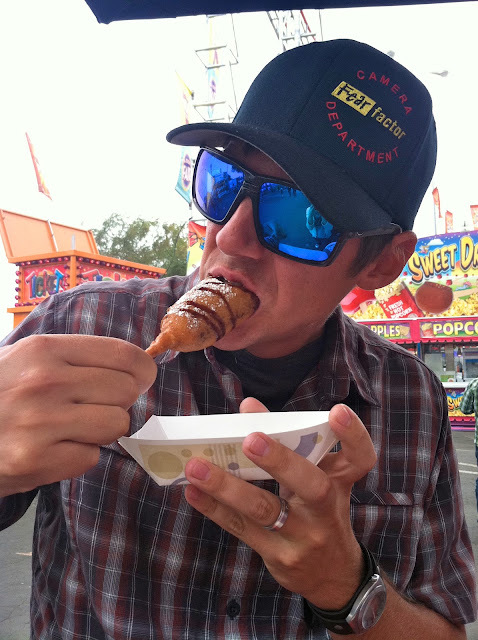 I live for fairs! This looks like an epic one. That looks like so much fun! our fair starts in two weeks! i can't wait to go!!! this is such a cute date idea. 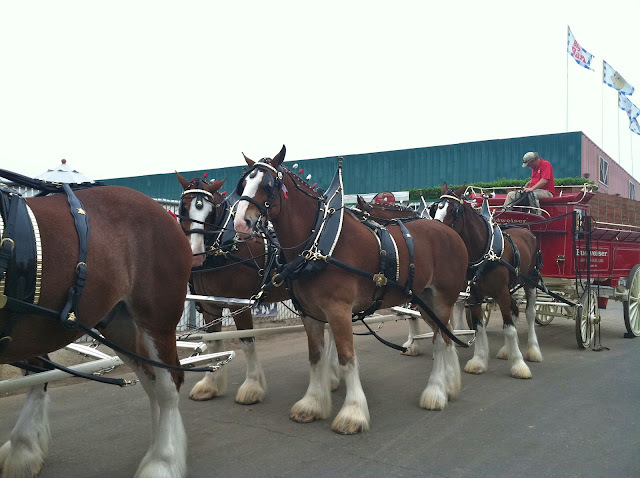 i cant wait for our county fair in march! woohoo, fair fun! i hope you showed your man up in skee ball, you're lookin' very focused there! 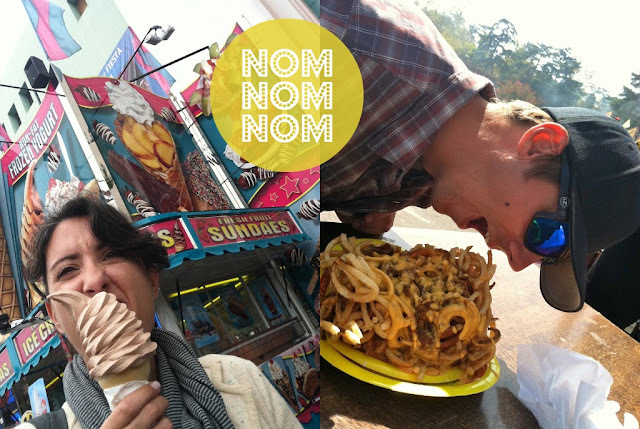 when kevin and i went to the OC fair, we ate a corn dog that was seriously over a foot long. good times.